A durable hand-held transilluminator powered by specialized LED lamps offering a brilliant white light output. The Neoscan® transilluminator is a handheld exam light that offers a brilliant white light output for excellent contrast between tissues, veins, and organs. 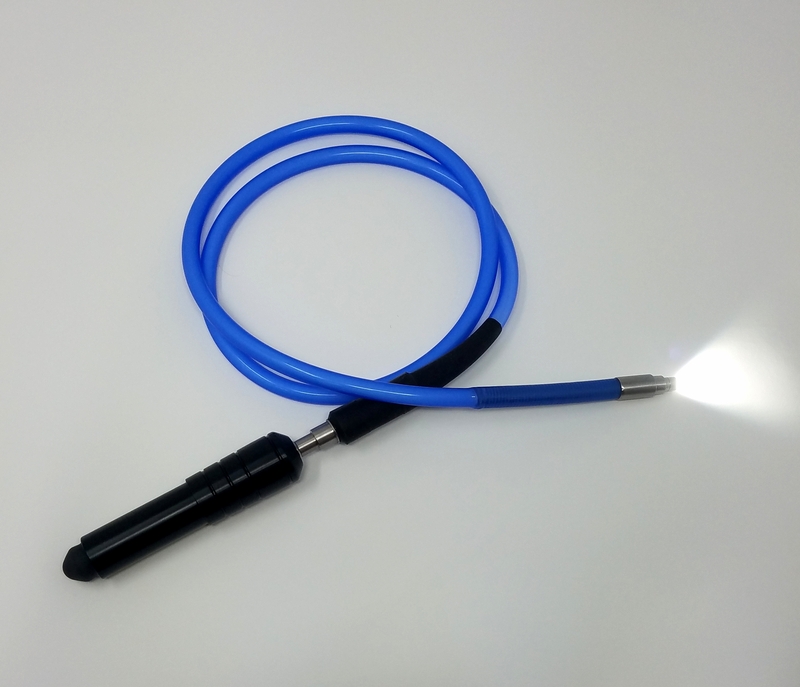 With a simple push-button on/off switch and a silicone encased four-foot fiberoptic cable, this transilluminator is designed for easy operation. The all-aluminum body, LED lamp, and rubber switch cover makes this water-resistant, drop resistant, and built to endure the rigorous daily use of the hospital environment. With the brightest light output offered by Sylvan Corporation, the Neoscan® transilluminator helps healthcare professionals discover the contrast between muscle tissues, internal organs, and veins in a variety of patients. Fully encased and can be disinfected with approved hospital antiseptic/germicide. Each new Neoscan® LED transilluminator purchase includes two batteries, a battery charger, fiberoptic lightpipe, an Owners’ Manual / Service Manual and transport case. Request a quotation for the Neoscan® LED neonatal transilluminator or contact us for more details.